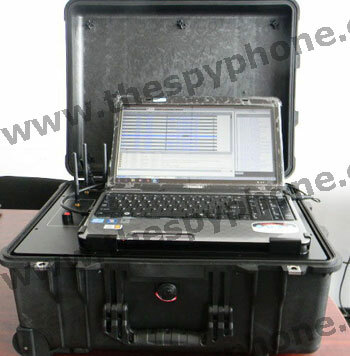 The Tactical GSM Interceptor may be used to listen to voice calls, monitor text messages and capture forensic data. All cellular conversations and SMS are recorded on the hard disk of the laptop, allowing evaluation of the intercepted data at any time. 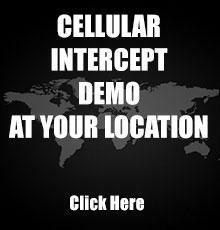 It is a well known fact that Active Cellular Interception solutions may be detected by the target user or network operator, therefore the need for discreet cellular monitoring is a priority. 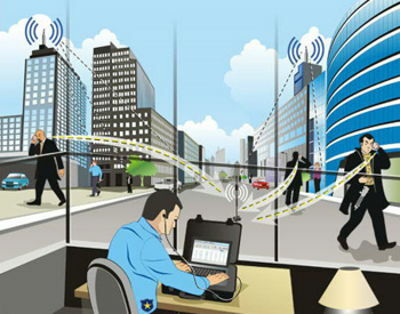 Our GSM cellular interception solution is based on state of the art technology, extensive field experience and works in fully passive mode. Interceptor operation is completely undetectable. Our GSM interceptor system uses Wideband Passive Interception (WPI) technology: WPI covers the whole GSM radio spectrum. It automatically decodes and analyzes the signals exchanged off-the-air on the GSM cells meaning it can handle many more cells and simultaneous communications than narrowband receivers. 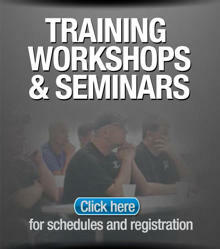 Instant setup within minutes only. Lightweight, portable with effective working range 25km – 120km. Optionally, we can integrate the support of 3G (WCDMA, UMTS) to create the ultimate all-in-one cellular interception solution and to cover all popular network bands. Please contact us for details. The system generates access to the data traffic of your targets’ laptops, tablets, and smart-phones (Android, iOS, Windows Mobile), and silently intercepts the targets’ communications. Our Wi-Fi spy solution automatically gathers highly valuable intelligence, such as: email, contacts, live chats history, photo, video passwords etc. View Details.